You've got 72 hours to plan and produce your completed film. Are you up for the challenge? Our film competition is open to local film makers (beginner through advanced) who would like to test their skills in a time constrained film making arena. 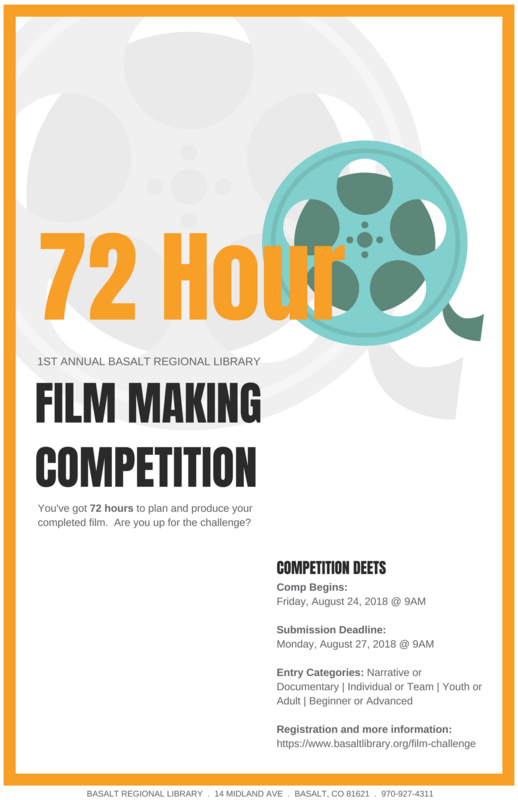 Participants can begin planning and producing their films as soon as they receive the email, and have 72 hours to complete and submit their finished film for judging. Completed films must be uploaded to YouTube, and the viewing link submitted to us no later than 9:00 AM on Monday, August 27, 2018.